A teaser image shows several historic Z cars and GT-R cars that will presumably be on display at the event, including the original Datsun 240Z and second- and fifth-generation GT-Rs. Also on display will be the gorgeous GT-R50 by Italdesign built to celebrate both the 50th anniversary of the GT-R and the Italian design house. Based on the 2018 Nissan GT-R Nismo, the GT-R50 features a unique exterior designed by Italdesign with pronounced hood, thinner headlights, and a lower roof. Only 50 examples are being produced, each starting at €990,000 ($1.12 million). First deliveries are slated to begin this year and will continue into 2020. No US availability or pricing details have been released yet, so Nissan could reveal this information, or possibly debut the production model, in New York. 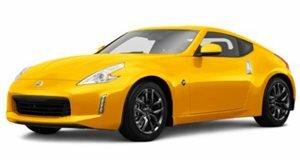 According to the New York Auto Show press conference schedule, Nissan’s event will also include "Anniversary Editions.” Presumably, this means we’ll see commemorative versions of the 370Z and GT-R at the show with unique badging and special exterior details, but we’ll have to wait until the New York Auto Show opens its doors to the media on April 17 to find out. 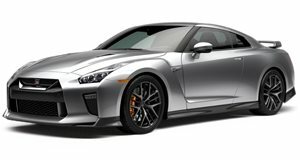 Of course, what we’re really hoping to see are new concept cars previewing the long overdue 370Z and GT-R successors, since both models have been on sale since 2008. Nissan recently assured us that it hasn’t forgotten about the 370Z and GT-R, but enthusiasts are growing tired of waiting for the successors to arrive. Using the model's 50th anniversary to preview the future of the 370Z and GT-R would make a lot of sense, but we're not expecting to see any potential model debuts until the Tokyo Motor Show in October, which would be a more fitting venue than New York.